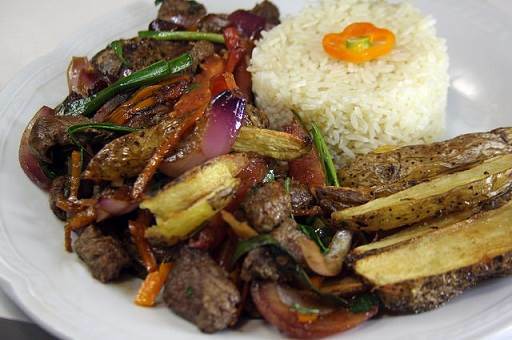 After grilled chicken and ceviche, the next popular Peruvian plate is known as “lomo saltado“, which literally means stir fried loin. The national platter has endured the tests of history and generations of pallets with great expectations for the dish. This Peruvian style dish is known internationally because its components are easily available worldwide. Potatoes, strips of loin, red onions tomatoes, chili salsa, soy sauce, and rice come together in bouquet of flavors to form the appetizing lomo saltado. 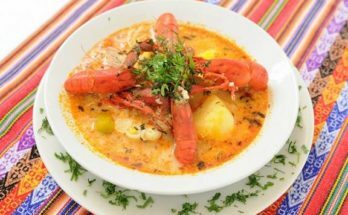 However, there are still some ingredients and elements that cannot be found outside of Peru, and these elements make the dish a lot more special and as just as much more delicious. Like the name suggests, the most common form of preparing lomo saltado is by periodically roasting its vegetables in a wok. A wok is a deep pan that is typically used for stir fries in some East Asian cultures. Using this technique, the vegetables tend to be cooked evenly and thoroughly. 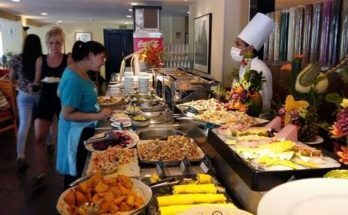 Cantonese immigrants that came to Peru were unable to make their favorite foods upon arriving to the country. They were unused to the typical ingredients available in the Americas. Eventually, they became used to loin cuts and used it as a replacement for the types of meat cuts they were used to in their homeland. They became used to potatoes and fried them with rice and strips of loin. 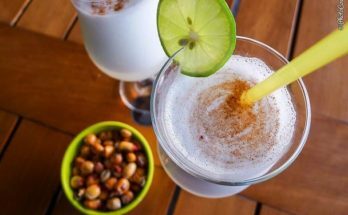 The aromas of ginger, diced parsley, and chilies with hints of vinegar and garlic blended together made the dish an instant favorite in Lima. Peru’s very own chef Gaston Acurio opened a chain of Peruvian restaurants here abroad. He decided that his restaurants would represent the essence of Peru’s unique traditional tastes. His ideology was that his establishments would be more personal and closer to our country rather than being a mass production franchise. Chef Acurio is a representative of the many tastes and delicacies Peru can offer the world.